As promised, here is one of the many stories of the international work going on at SonSet Solutions (where we work, on loan from Reach Beyond). This article was originally written by our colleague Barb Anderson. We think it's really cool work, that we get to be involved in too. We've updated it a bit to reflect some really positive developments in the story that occurred since the original publication. After 55 years of guerrilla warfare, South Sudan is experiencing a desperate hunger for the word of God. Ninety-five percent of the rural South Sudanese are illiterate, as warring factions have destroyed the educational system. Starvation and ravaged homes are the plight of people today in Southern Sudan with refugee camps among the largest in the world (more on our work with a Sudanese refugee camp of near one million people in Uganda coming in next month’s newsletter). 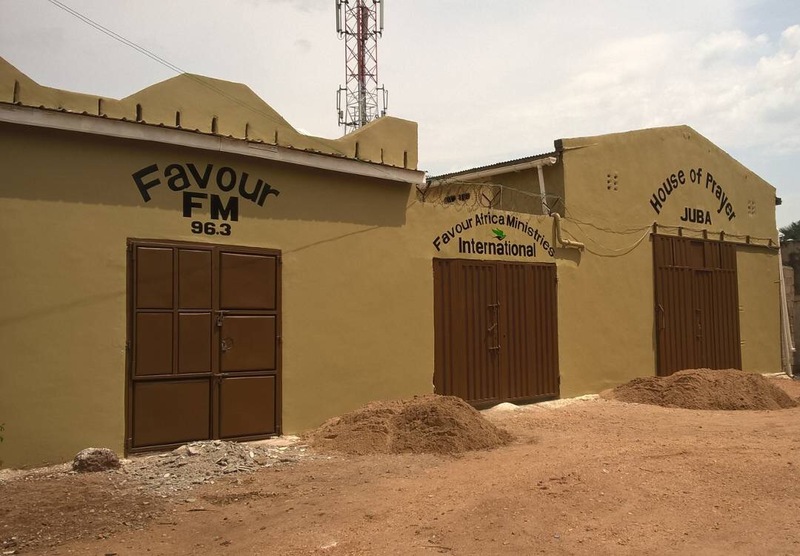 Favour Africa's radio station in Juba, South Sudan. 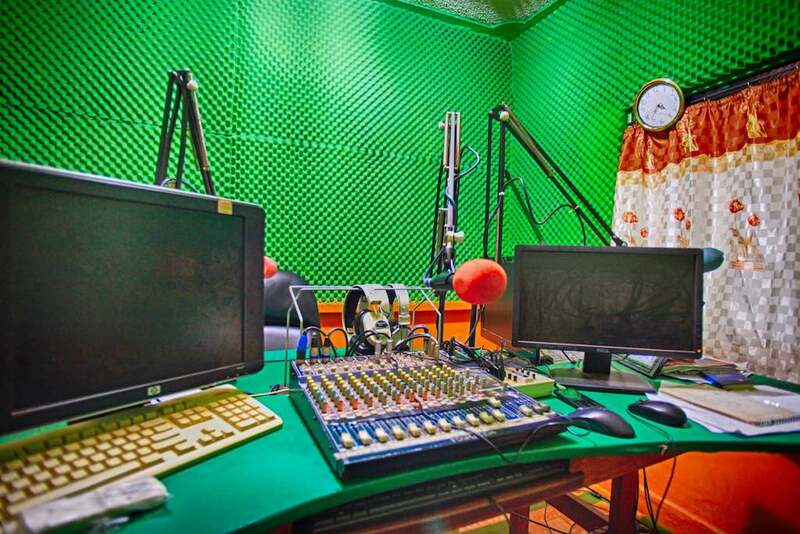 Radio broadcasting from the capital city of Juba is able to speed up the process as messages can reach an estimated 1.2 million villagers, refugees, and prisoners at one time. 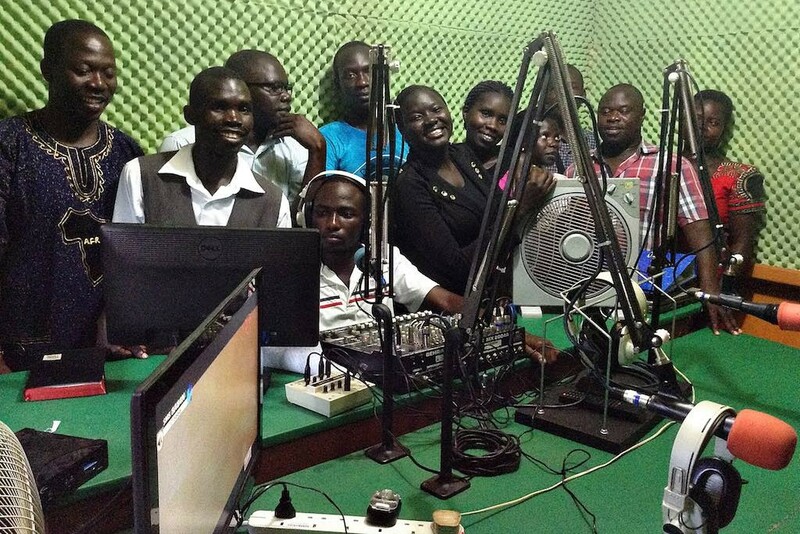 Our partner Favour Africa Inc., having already established a radio station in Gulu, Uganda, prayed and worked for several years to see a radio ministry begin in Juba, South Sudan. They purchased the land, built the building, and obtained the necessary licenses. SonSet Solutions provided the equipment needed to establish the new station in Juba in addition to equipment for an existing station in Gulu which is already proclaiming a voice of healing, hope and salvation through an on-air Bible school, trauma counseling, health education, teaching, worship, family and children’s programs, news, and more. We helped with the equipment. God brought some wonderful national staff. Please pray with us for the South Sudanese Christian leadership who, though suffering trauma and deprivation themselves, are willing to give their lives to reach their own people with the gospel, no matter the cost. Please also pray that the radio equipment will be maintained for years to come and many will be reached with the Word. We are honored to be a ministry partner in advancing the gospel in this way and we pray that you, too, feel part of the team that is working to advance the gospel worldwide. Thank you for your prayers and financial sacrifices so we can partner in ministry together. God is doing great things.